Full spectrum CBD oil tincture. Our full spectrum CBD oil is made from CO2 extracted hemp. 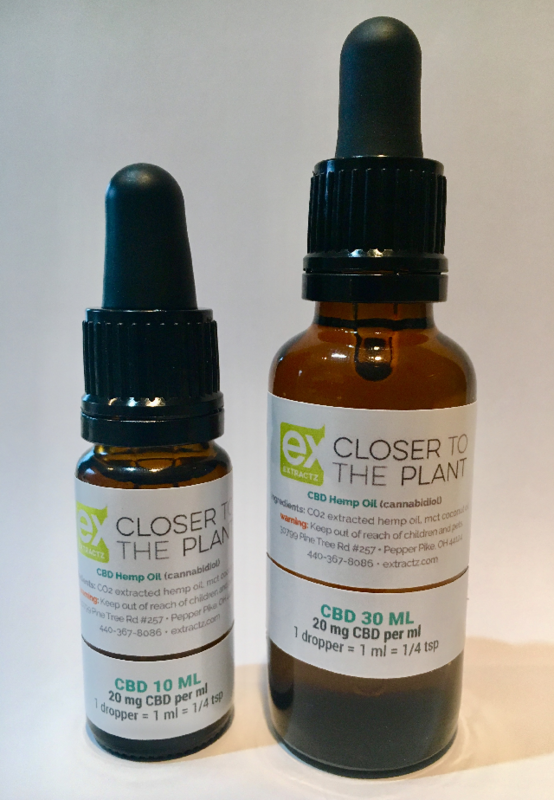 We combine our CBD oil with MCT Coconut oil for a superior product that can be taken orally right out of the dropper or added to food. MCT oil allows your body to easily absorb the beneficial CBD cannabinoids and provides a mild, slighty nutty flavor. When taken into your body the CBD will assimilate and provide relief to you by interacting with your endocannabinoid system. CBD oil has become popular for its mild effects and its ability to help fight off stress and anxiety while providing relief for low levels of pain and inflammation. Learn more about Cannabidiol (CBD) and its many natural therapeutic and healing properties!